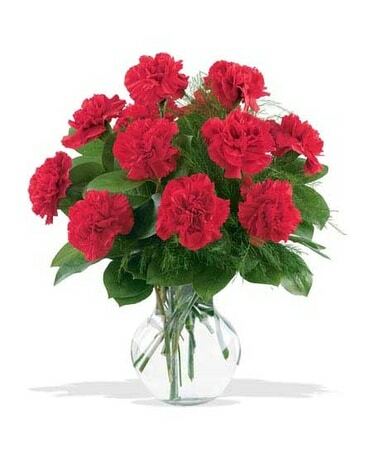 A dozen premium quality red carnations are professionally arranged in a classic clear glass vase. An affordable way to tell your special someone; "I love you!" on their special day!